Official contest rules for the Midnight Eclipse Virtual Book Tour Sweepstakes. This section outlines the conditions of the Midnight Eclipse Virtual Book Tour 2014 Sweepstakes for the visitors who participate on the blogs and websites hosting the virtual tour stops during the Character Reveal Tour (CRT) for Midnight Conquest, Book 1 (BBB01) of the Bonded By Blood Vampire Chronicles (heretofore known as the “CRT-BBB01”), which takes place from September 15-26, 2014. Broderick MacDougal – Starts September 15, 2014, at 00:01 a.m. PT and ends September 17, 2014, at 11:59 p.m. PT. Midnight Captive Book 2 Sub-Tour – Starts June 11, 2014, at 00:01 a.m. PT and ends June 29, 2014, at 11:59 p.m. PT. Midnight Hunt Book 3 Sub-Tour – Starts July 16, 2014, at 00:01 a.m. PT and ends August 3, 2014, at 11:59 p.m. PT. A link to any of the tour stops for the tour OR a link to Arial Burnz's website – either the home page (http://arialburnz.com) or the VIP Club benefits page (http://www.arialburnz.com/vip-club/) or the VIP Club sign-up page (http://www.arialburnz.com/vip-club/join-club/). The announcement must mention the Bonded By Blood Virtual Book Tour 2014 in some way. The announcement must contain a website link (a.k.a. URL or web address) to a page or post about the Bonded By Blood Virtual Book Tour 2014 on any of the participating websites/blogs OR on Arial Burnz's website (http://www.ArialBurnz.com). posting a comment on http://www.ArialBurnz.com with a link to the announcement. Winner Selection: Qualifying winners for the Reader Contest will be selected from the comments made on each of the participating websites/blogs, including Arial Burnz's website at http://www.ArialBurnz.com. Additional entries for those qualifying winners will be accepted for announcements made as noted in Items 2, 3 & 4 above. Winners for the sweepstakes will be selected in a random drawing from among all eligible entries received on March 29, 2014, at 5:00 p.m. PT through August 3, 2014, at 11:59 p.m. PT. The drawings will be conducted by Sponsor, whose decisions is final. Odds of winning will depend upon the total number of eligible entries received. One paperback copy each of the first three novels in the Bonded By Blood Vampire Chronicles signed by Arial Burnz. Approximate value all all three grand prizes combined is $225 USD. 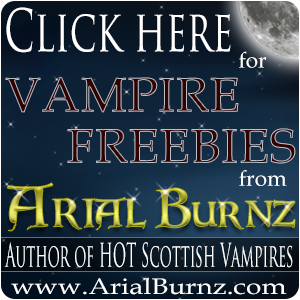 If a Grand Prize winner is found to already have signed paperback copies of Books 1-3 of the Bonded By Blood Vampire Chronicles by Arial Burnz, they have the option of receiving the electronic versions of these books instead. Otherwise, there will be no substitutions. The winner has the choice of accepting or declining the items listed in 6.A.ii above or the aforementioned electronic copies. Midnight Conquest Book 1 Sub-Tour – Drawing will be conducted at anytime starting May 12, 2014 at 00:01 a.m. PT through May 16, 2014, at 11:59 p.m. PT. Midnight Captive Book 2 Sub-Tour – Drawing will be conducted at anytime starting June 30, 2014 at 00:01 a.m. PT through July 3, 2014, at 11:59 p.m. PT. Midnight Hunt Book 3 Sub-Tour – Drawing will be conducted at anytime starting August 4, 2014 at 00:01 a.m. PT through August 8, 2014, at 11:59 p.m. PT. This section outlines the conditions of the Bonded By Blood Virtual Book Tour 2014 Sweepstakes for the website owners and blog managers hosting the virtual tour stops (heretofore known as “Tour Hosts”) during the Bonded By Blood Virtual Book Tour 2014 (heretofore known as the “Tour Host Contest”). Hosting – Just hosting a Tour Stop for the BBB 2014 Book Tour will earn Tour Host a single entry in the Tour Host Contest. 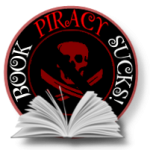 Hosting a Tour Stop means the Tour Host will post a blog entry or create a web page for the BBB 2014 Book Tour with content provided by Arial Burnz and/or her assistant Emily Matson and is subject to approval by Sponsor. Spreading the Word – Tour Hosts can earn additional entries for helping Arial spread the news about the tour as per the Announcement Requirements detailed above in Section I, Item 4. Winner Selection: Qualifying winners will be selected from the Tour Hosts who participate in the BBB 2014 Book tour as specified in Section II, Item 1A within the dates of the tour as detailed in Section I, Item 1.A-C. Additional entries for those qualifying winners (as noted in Section II, Item 1B) will be accepted for announcements made that meet the Announcement Requirements noted in Section I, Items 2, 3 & 4 above. Winners for the Tour Host Contest will be selected in a random drawing from among all eligible entries received on March 29, 2014, at 5:00 p.m. PT through August 3, 2014, at 11:59 p.m. PT. The drawings will be conducted by Sponsor, whose decisions is final. Odds of winning will depend upon the total number of eligible entries received. Prizes & Approximate Retail Value: One (1) $50 Amazon, Barnes & Noble or iTunes gift card (winners' choice) will be awarded to three (3) qualifying entrants as per detailed in Winner Selection (Section II, Item 2 above) from the qualifying entries for the Tour Host Contest. The following section applies to both Sections I and II. Winners' List: For winners' names, send a separate, self-addressed, stamped envelope to The Bonded By Blood Virtual Book Tour 2014 Sweepstakes, Mystical Press Publishing, 340 S. LEMON AVE #4462, WALNUT, CA 91789 by September 1, 2014. ENTRIES: Entries, as detailed in the items above in Sections I and II, become the property of the Sponsor and will not be returned. The sponsor reserves the right to cancel the drawing if enough entries (at least one per Tour Stop) are not received. Proof of submission does not constitute proof of receipt. If there is a dispute as to the identity of an online entrant, the prize will be awarded to the authorized account holder of the e-mail address provided in the minimum requirement for an entry detailed above. The “authorized account holder” is defined as the natural person to whom the e-mail address is assigned by an Internet service provider, online service provider, or other organization (e.g., business, educational institution, etc.) that is responsible for assigning e-mail addresses for the domain associated with the submitted e-mail address. ELIGIBILITY: Due to the adult content contained in the grand prize (i.e., paperback copies of the novels in the Bonded By Blood Vampire Chronicles) entrants MUST be at least 18 years of age or older to participate. Open to legal residents of the 50 United States and the District of Columbia, Puerto Rico, or Canada who have reached the age of majority or 18 years of age – whichever is greater – in their state territory, or province of residence at time of entry. Void in the Province of Quebec, and where prohibited by law. Employees of Sponsor, its parents, affiliates, and subsidiaries, participating advertising and promotion agencies (and members of their immediate family and/or those living in the same of household of each such agencies) are not eligible. CONDITIONS OF PARTICIPATION: Online entrants must have a valid e-mail address, and it is the entrant's responsibility to update Sponsor of any change in e-mail address. Expenses not specifically included in prize description and all taxes are the sole responsibility of the winner. Each prize is awarded “as is” with no warranty or guarantee, either express or implied. No transfer, assignment, or substitution of a prize permitted, except Sponsor reserves the right to substitute for prize an item of equal or greater value in the event an advertised prize is unavailable. All federal, state, provincial, and local laws and regulations apply. Entrants agree to be bound by the terms of these Official Rules and by the decisions of Sponsor, which are final and binding on all matters pertaining to this Promotion. Winners may be required to reply via e-mail, sign and return an Affidavit of Eligibility, a Liability Release, and, where legally permissible, a Publicity Release within seven (7) days following the date of first attempted notification. Failure to comply with this deadline may result in forfeiture of the prize and selection of an alternate winner. Return of any prize/prize notification as undeliverable may result in disqualification and selection of an alternate winner. Winner hereby further agrees that he/she will sign any documents necessary to transfer copyright of the entry to Sponsor within 7 days following the date of first attempted notification. Acceptance of the prize constitutes permission for Sponsor and its agencies to use winner's name and/or likeness, biographical material, and/or entry (including an altered form of the entry) for advertising and promotional purposes without additional compensation, unless prohibited by law. By accepting prize, winner agrees to hold Sponsor, its advertising and promotion agencies, and their respective parent companies, subsidiaries, affiliates, partners, representative agents, successors, assigns, officers, directors, and employees harmless for any injury or damage caused or claimed to be caused by participation in the Promotion or acceptance or use of the prize. Sponsor is not responsible for any printing, typographical, mechanical, or other error in the printing of the offer, administration of the Promotion, or in the announcement of the prize. INTERNET: Sponsor is not responsible for electronic transmission errors resulting in omission, interruption, deletion, defect, delay in operations or transmission, theft or destruction or unauthorized access to or alterations of entry materials, or for technical, network, telephone equipment, electronic, computer, hardware or software malfunctions or limitations of any kind, or inaccurate transmissions of or failure to receive entry information by Sponsor or presenter on account of technical problems or traffic congestion on the Internet or at any Website or any combination thereof. If for any reason the Internet portion of the program is not capable of running as planned, including infection by computer virus, bugs, tampering, unauthorized intervention, fraud, technical failures, or any other causes that corrupt or affect the administration, security, fairness, integrity, or proper conduct of this Promotion, Sponsor reserves the right at its sole discretion to cancel, terminate, modify, or suspend the Promotion. Sponsor reserves the right to select winners from eligible entries received as of the termination date. Sponsor further reserves the right to disqualify any individual who tampers with the entry process. Sponsor may prohibit an entrant from participating in a Promotion if it determines that said entrant is attempting to undermine the legitimate operation of the Promotion by cheating, hacking, deception, or other unfair playing practices or intending to abuse, threaten, or harass other entrants. Caution: Any attempt by a participant to deliberately damage any Website or undermine the legitimate operation of the Promotion is a violation of criminal and civil laws and should such an attempt be made, Sponsor reserves the right to seek damages from any such participant to the fullest extent of the law. DISPUTES/CHOICE OF LAW: Except where prohibited, each entrant agrees that: (1) any and all disputes, claims, and causes of action arising out of or connected with this Promotion or any prize awarded shall be resolved individually, without resort to any form of class action, and exclusively by state or federal courts situated in San Bernardino County, CA; (2) any and all claims, judgments, and awards shall be limited to actual out-of-pocket costs incurred, but in no event attorneys' fees; (3) no punitive, incidental, special, consequential, or other damages, including without limitation lost profits may be awarded (collectively, “Special Damages”); and (4) entrant hereby waives all rights to claim Special Damages and all rights to have such damages multiplied or increased. California State law, without reference to California's choice of law rules, governs the Promotion and all aspects related thereto. SPONSOR: The Sponsor of these Promotions is DBA Arial Burnz, 340 S. LEMON AVE #4462, WALNUT, CA 91789.